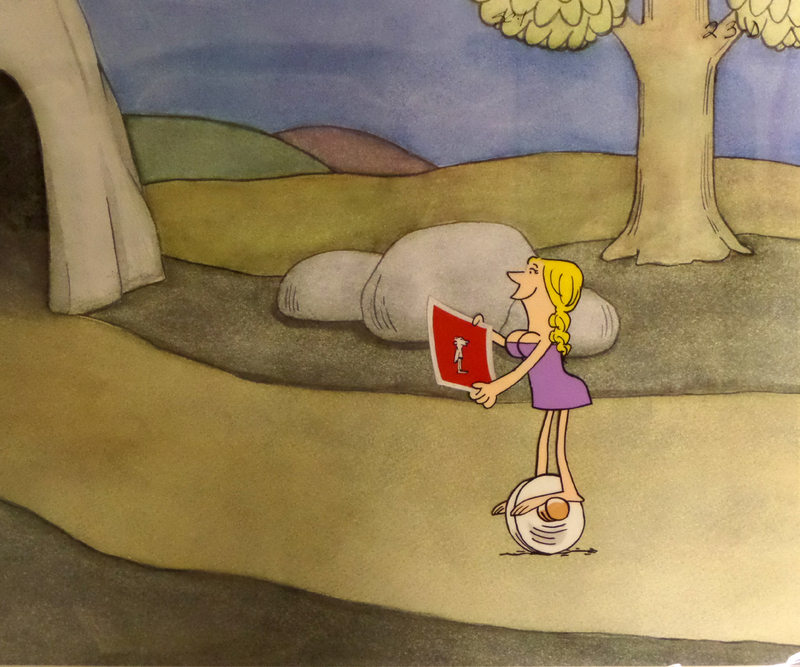 This is an original production cel from a Monroe Shocks Commercial featuring a Cave Woman from the B.C. Comic Strip by Johnny Hart. The overall piece measures 10.5" x 12.5" and the image measures 4.5" x 2.5".